Today is World Polio Day | Are those with polio inaddmissible to Canada? - Gateway to Canada | Canada Immigration Consultancy! Today is World Polio Day | Are those with polio inaddmissible to Canada? 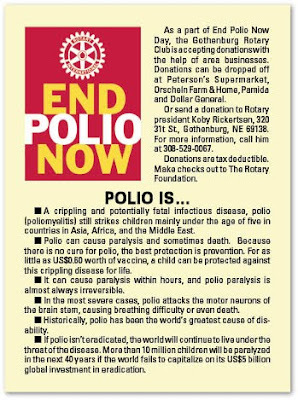 Rotary International has declared October 24, 2009, "World Polio Day" as part of its its effort raise awareness and funds for the global push to end polio. Are those with polio inadmissible to Canada and can't be issued permanent resident visa? Medical inadmissibility is to be decided by the visa officer based on the report from designated medical practitioners. It will be evaluated on case to case basis. But based on our experience, we already have clients with polio who were granted PR Visa!